Welcome to a brand new blog post! 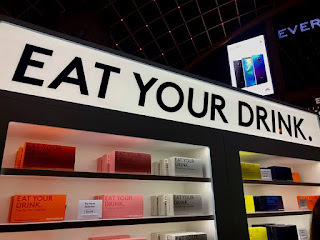 The wonderful guys over at Smith and Sinclair, invited me to the launch of their pop up, at the wonderful Trinity Leeds, and I thought that today, I would talk to you all about the launch event. 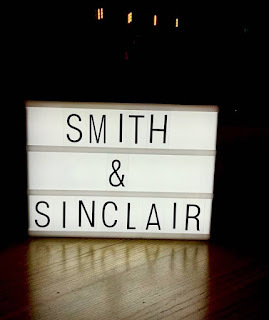 Smith and Sinclair believe that adults should approach life with the same freedom and curiosity we did as kids, but with a slosh of booze to fuel the adventure. We arrived at the pop up store, to be greeted with smiles and hugs. 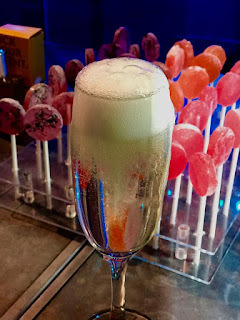 We made our way towards the drink station, where there were glasses of Prosecco, with lollipops to add to the drink, and Boba to add to the drink. 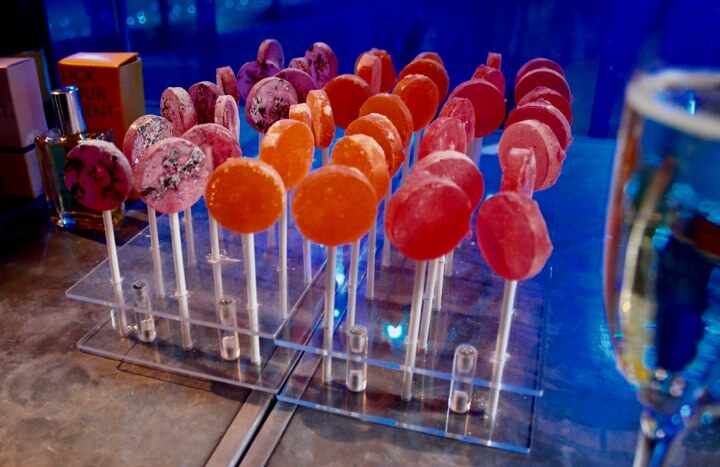 Both of these had different flavours, so you could mix and match the flavours. Luke had a Cherry based one,. because Luke loves Cherry anything, and I decided to go for a more Orange flavoured lollipop with Lychee based Boba. I loved choosing different flavours, and seeing how they blended together with the taste of the Prosecco. I also loved how, when you instantly dunked the lollipop in, the drink fizzed and foamed up. After trying a couple of flavours, we wandered around and slowly found out about the edible fragrances that Smith and Sinclair have to offer the public of Leeds at their pop-up. 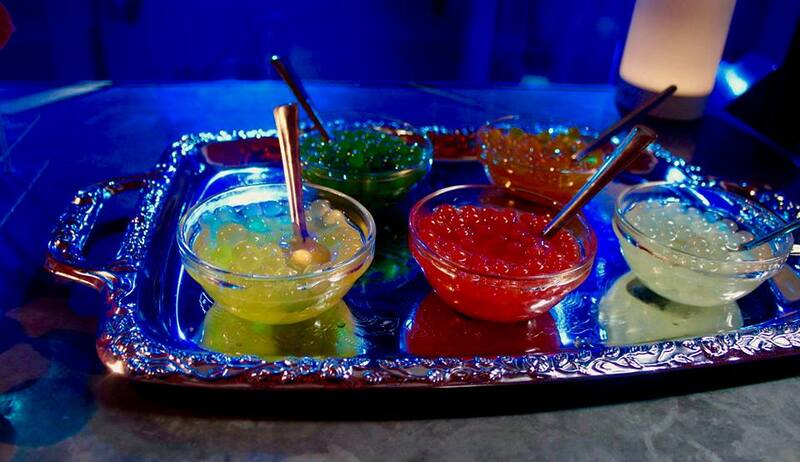 The concept of edible fragrances can be worn on the skin, or used to flavour/spruce up a drink, by spraying it on the side. I think adding it to things like Gin and Tonics, or maybe a Mojito, or simple Lemonade, would be interesting. I decided to go for Watermelon and Citrus. I love how the Watermelon intermingles with the Citrus notes, to create a sort of Warm Summers Eve style scent. After looking around the wonderful pop-up store, we were then treated to a few drinks at the intriguing yet excellent establishment, The Alchemist. We first tried the Bubble Bath, which contains, Tanqueray gin, Aperol, Chambord, lemon, apple, and, 'fairy liquid'. 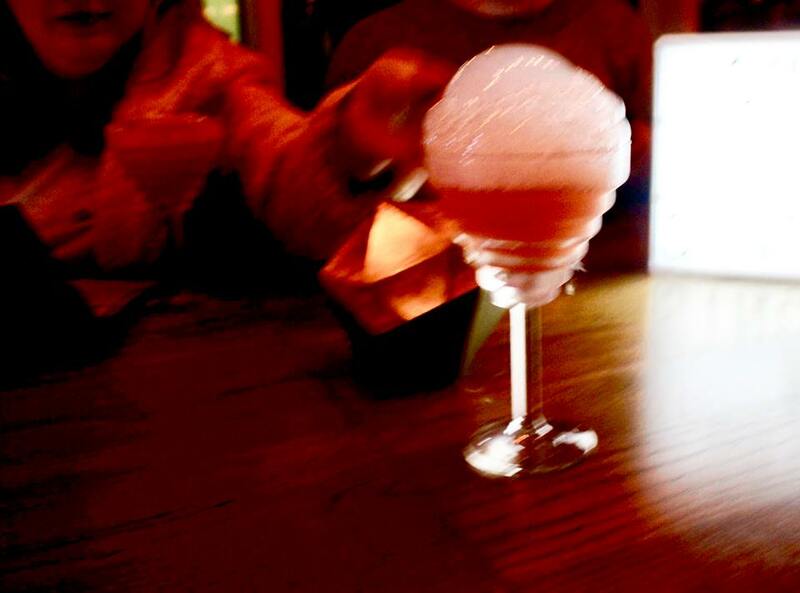 The drink also came in a sort of spiralised martini glass which added to the aesthetic. To say that I don't like Gin, I loved the taste of this drink. I'm not sure if its because of the Chambord mixed with the Lemon, but I just kept on sipping and sipping. The 'fairy liquid' was such a weird texture on the lips. Although it was weird, it was kinda of brilliant at the same time. I love Bubbles, Baths and Alcohol, so if you've never tried this one before, I'd definitely tell you to give it a go! I chatted with a few of the other bloggers for a bit, including, Lizi and Kayleigh, before the next deliciously different drink came by. This one was called, 'Lightbulb Moment'. This contains, Tanqueray gin, Pimms, ginger beer, raspberry, lemon, mint. The background of this drink, is that half of the drink comes in a lightbulb shaped glass which you add to your drink. I loved this drink instantly, because well, you get to interact and make some of your drink. Again, I'm not the biggest fan of Gin on it's own, but I love Ginger Beer and Raspberry in anything! (I'm that person that will pick the Raspberry garnish out of a drink, and save it for the end.) The Raspberry and Ginger Beer gave it a sort of sweet but warming taste to it, which is perfect for this time of year. Don't forget to check out Smith & Sinclair! Thanks again to the lovely guys at Smith & Sinclair and Trinity Leeds, for inviting me to this amazing event! I hope that you've enjoyed this food based blog post! I hope to see you next time, for another blog post! This post wass in collaboration with Trinity Leeds & Smith & Sinclair. All views, opinions and ramblings are my own!